If Karen A. 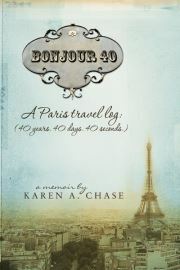 Chase absolutely had to turn forty, she decided she could do it gracefully in Paris… for nearly forty days. What began as a blog to communicate with friends and family, became a travel journal filled with over a months’ worth of humorous and insightful glimpses into her Paris adventures, each of which could be read in about forty seconds. Journal entries are interspersed with Chase’s own inspiring photography. Additional, longer stories richly fill in details allowing readers to reflect upon her experiences with food, travel, photography, Parisians, writing, and love in the City of Lights. Through her Parisian- and self-exploration, comes a book that brings to life the richness of Paris as seen through the eyes of a romantic travel junkie. Chase shows readers the joys of turning 40, and with her magical view of Paris, they’ll be ready to board a plane before they’ve turned the last page. It has always been a dream of mine to spend a few weeks in Paris, but that will probably never happen. So I did the next best thing. I read this book. I loved reading about the bookstores, museums and people of Paris. I love seeing a few of the photos the author took while she was there. She tells the reader what the food is like, what the sights, sounds and smells are and what she was feeling, and that made it seem so real. The book wasn’t exactly what I expected it to be, I thought it was more like a journal of the places she went, but I’m so glad she made it more personal. Whenever I start feeling sad that I’ll never make it Paris, I’ll read this book again. It’s the next best thing to actually being there. 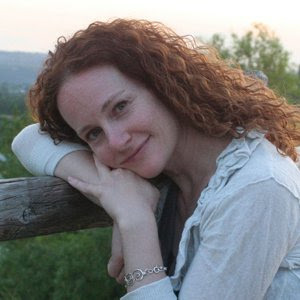 company, she branched into a secondary career as a freelance writer of historical fiction, poetry, and nonfiction, writing for online magazines like HOW Design and as a guest columnist for The Richmond Times-Dispatch newspaper. Bonjour 40 is her first book. She and her partner, Ted, live in Virginia with their two cats. I've lived in France, but not Paris. I adore Paris and would love to live there too. This book sounds perfect for me! I suspect I shall never get to Paris either, so perhaps reading this book is for me as well. I have been wanting to read this book-this is the second place I have seen it.